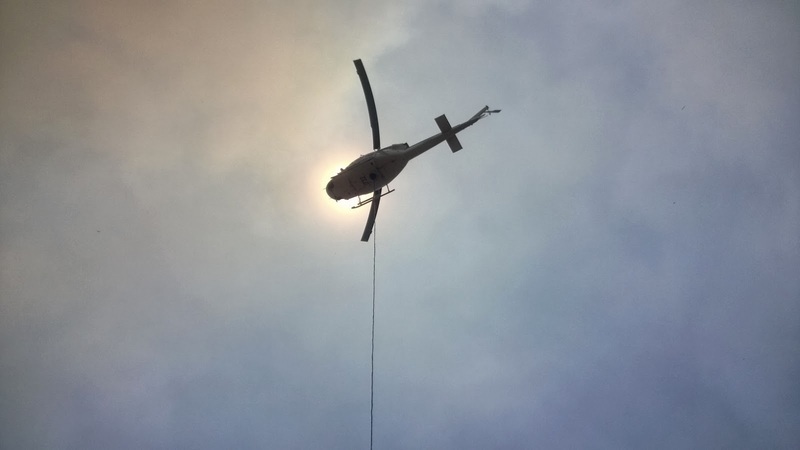 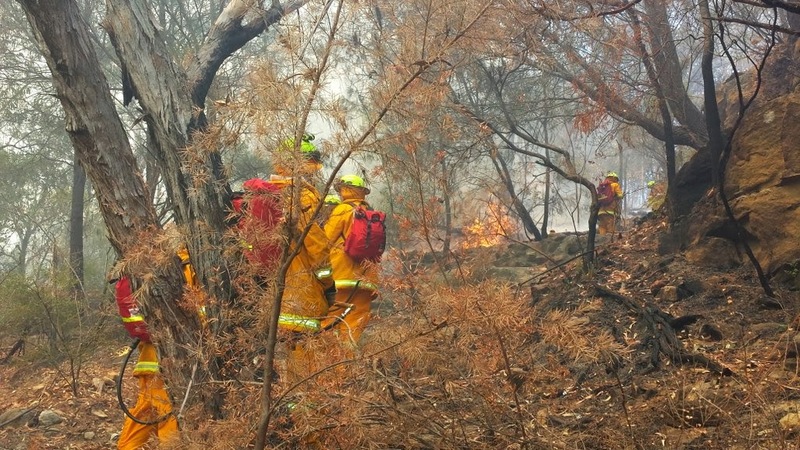 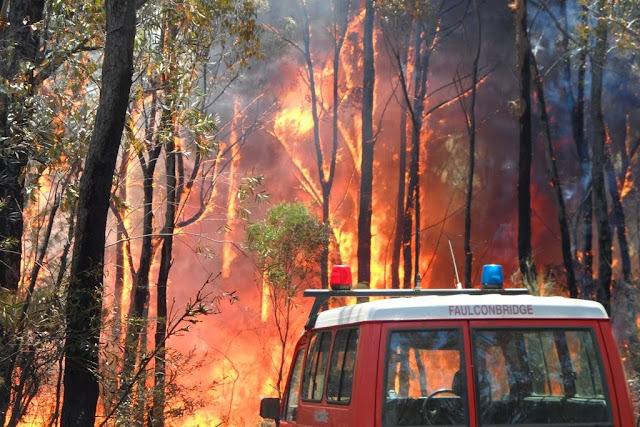 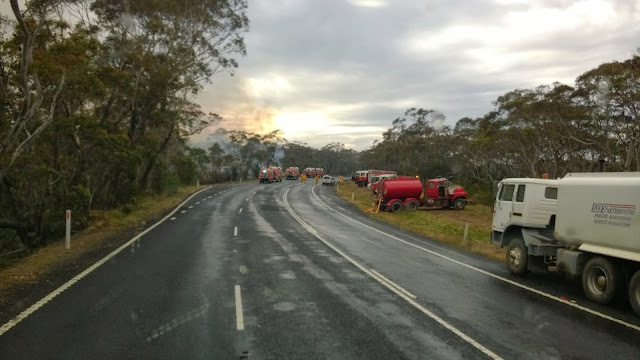 On Thursday 17 October 2013 the ACT Rural Fire Service received a request for assistance from the NSW Rural Fire Service. 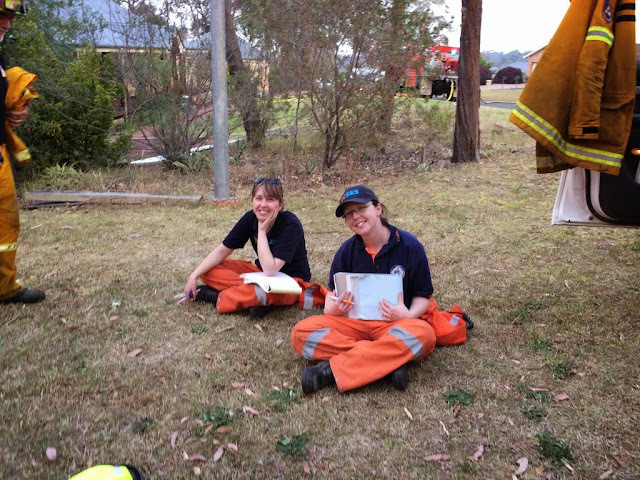 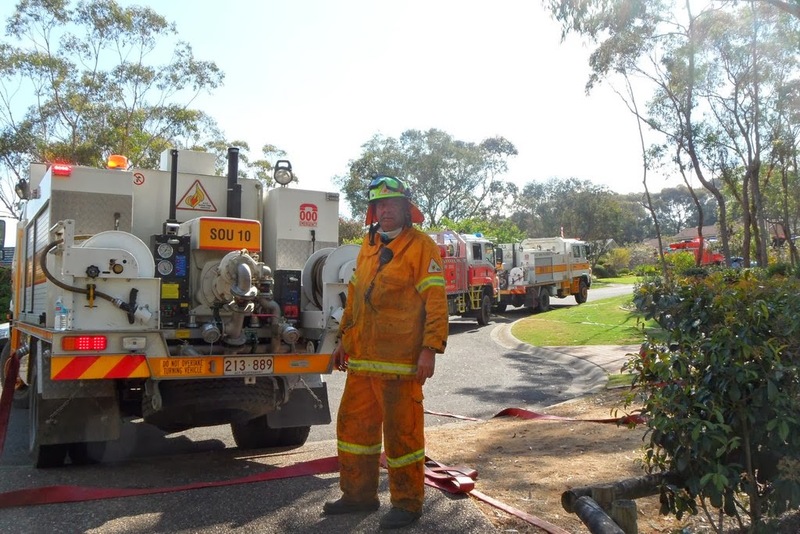 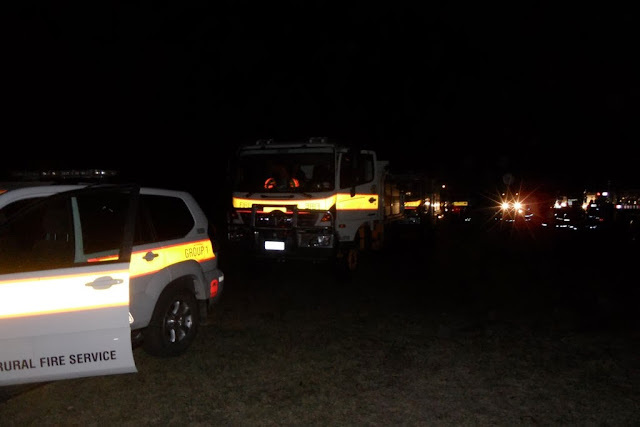 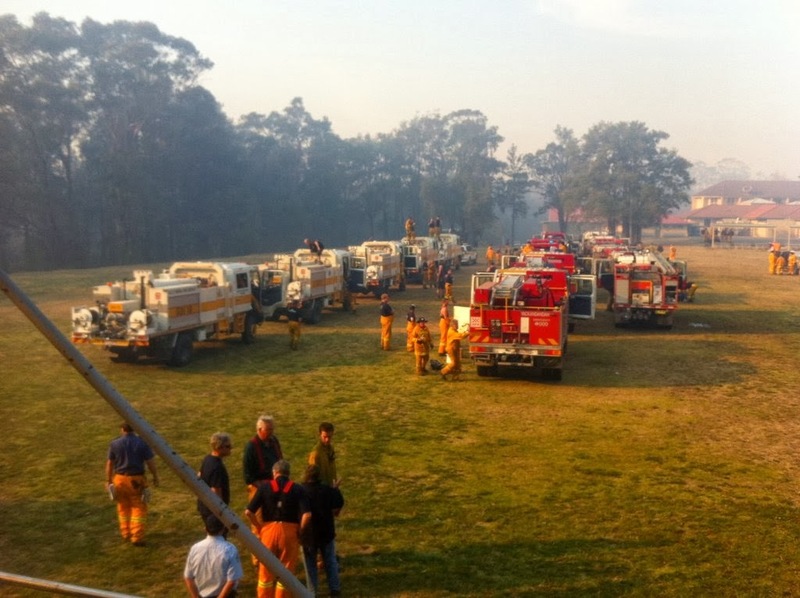 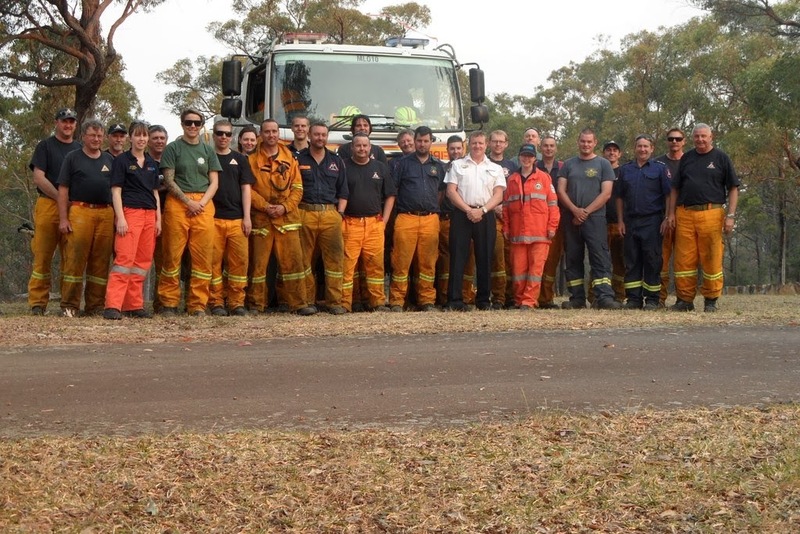 10 tankers and 4 command vehicles crewed by ACT RFS volunteers and Parks staff left Canberra for the Blue Mountains. 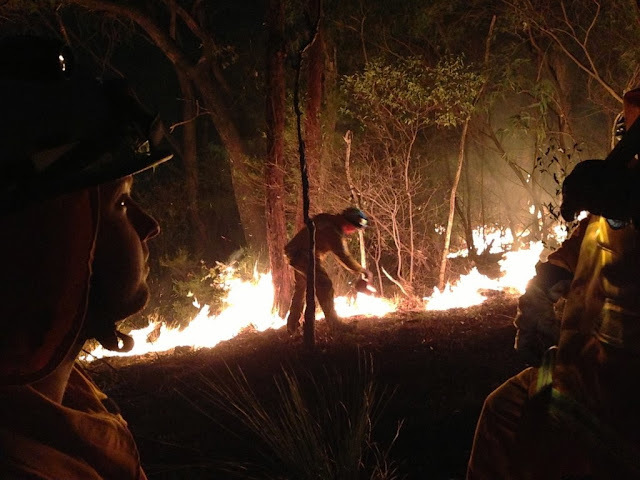 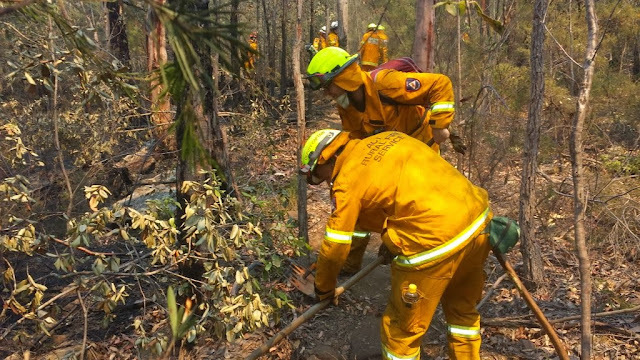 Crews worked for 5 days undertaking a range of tasks before replacement crews arrived. 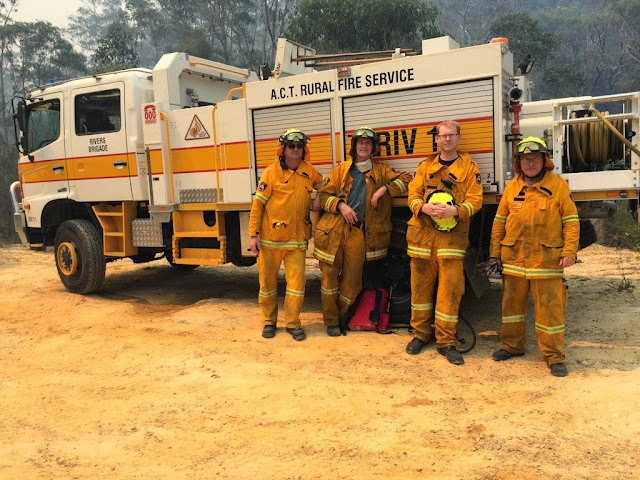 Photos below courtesy of Rob Gore, Dave Ingram, Chris Bowyer, Evaan Chadwick, Jamie Lankford, Terry Falkingham, Susanne Schmidt, Lil Cortese, Cameron Blaseotto, Martin Greenwood, Michael O'Neil and Fiona VanDeMade. 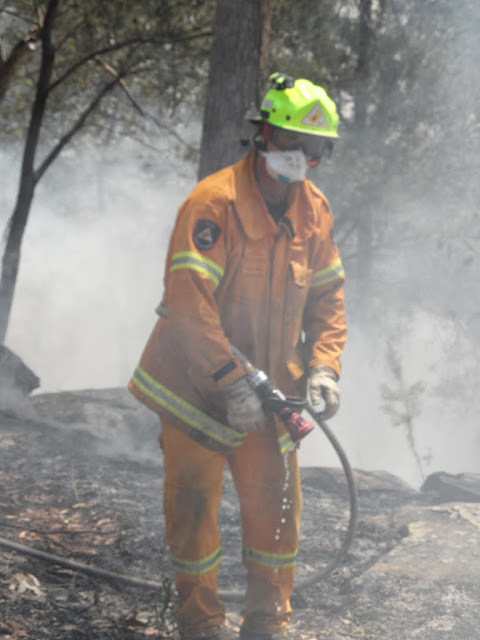 A Joe Blake (snake) slithering away from fire. 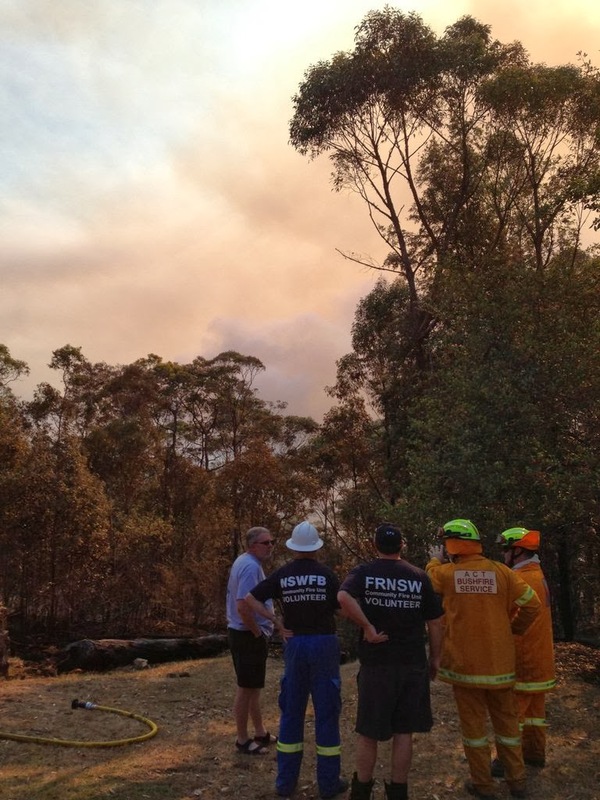 The view from Glenbrook RAAF Base Officers Mess (Photo: Evaan Chadwick). 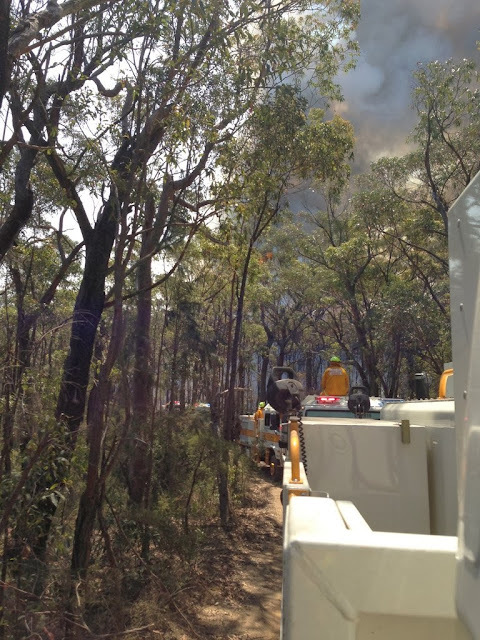 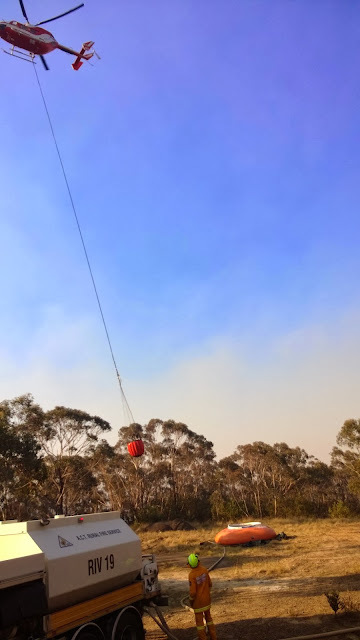 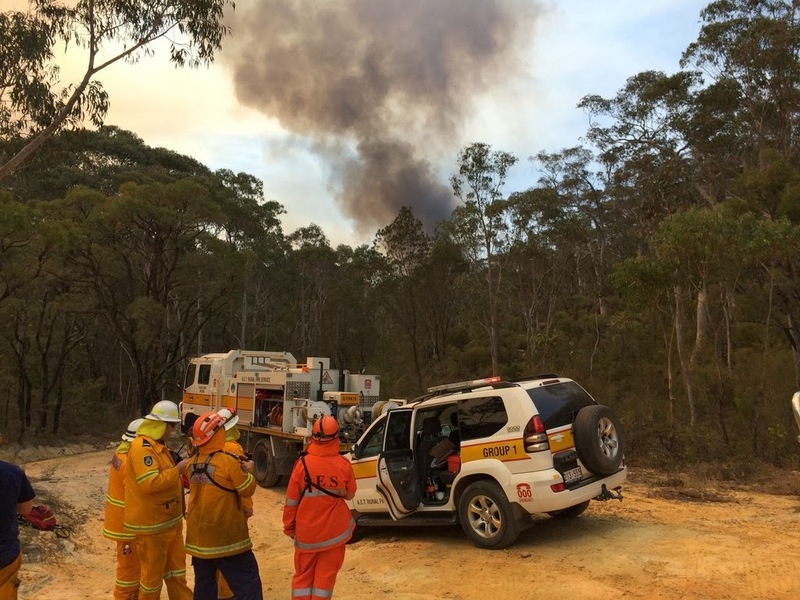 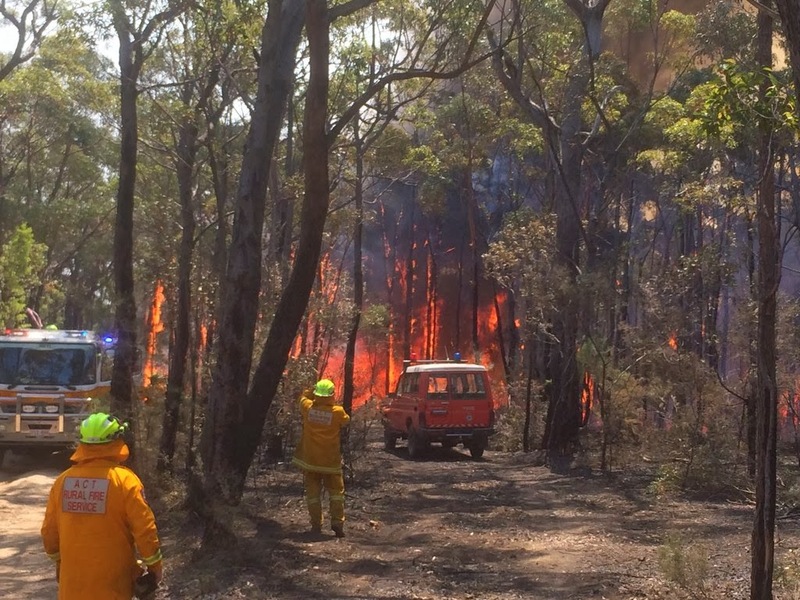 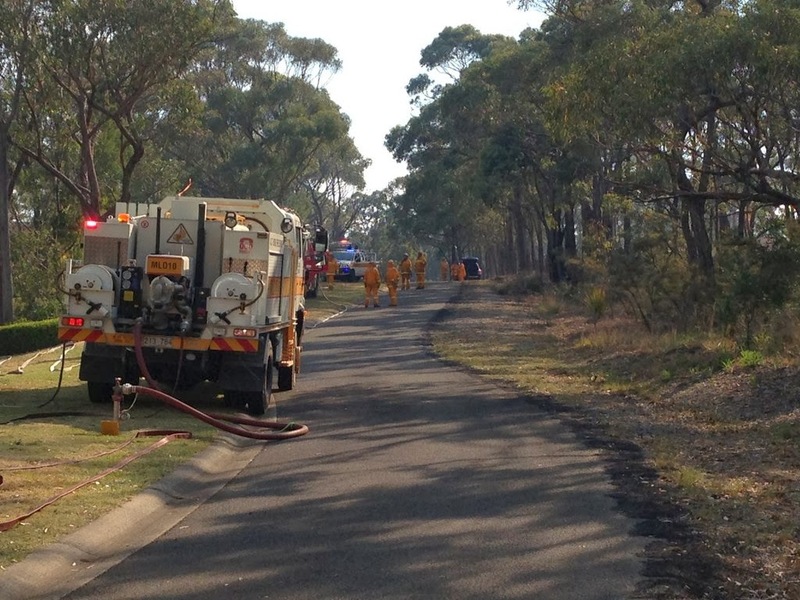 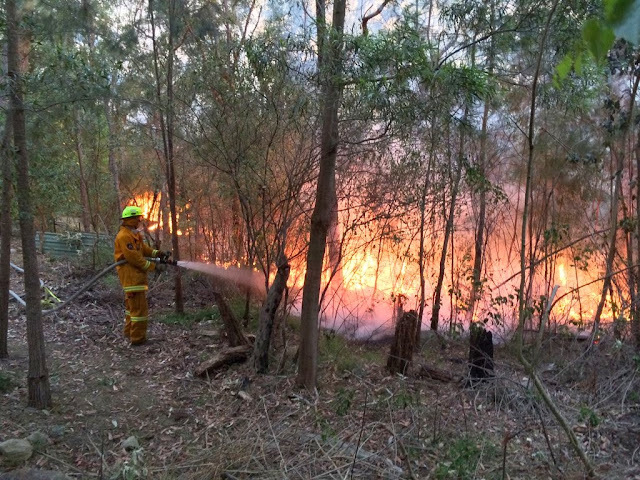 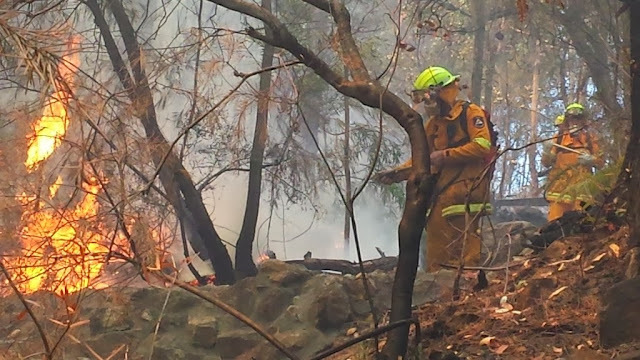 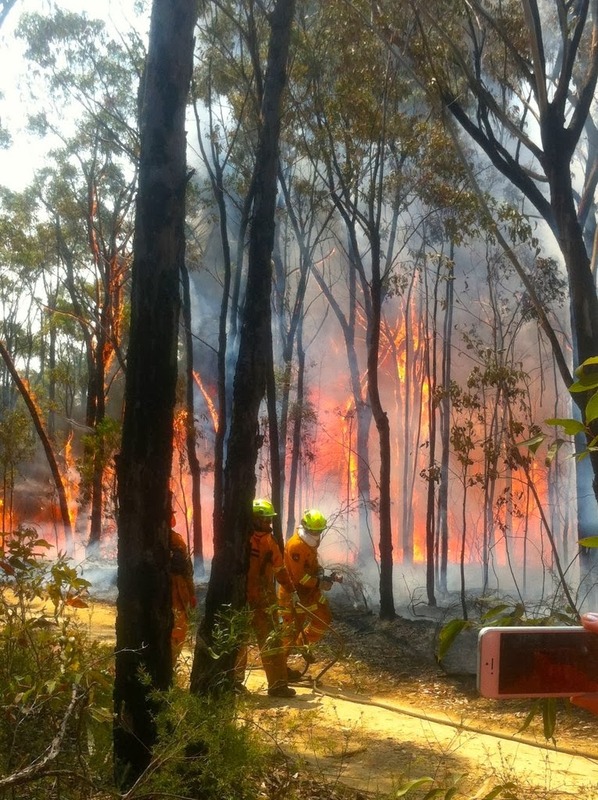 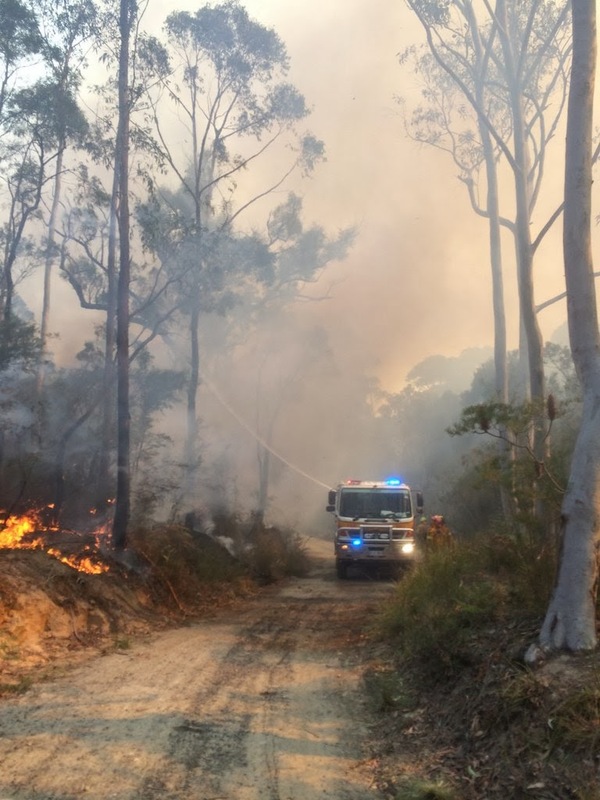 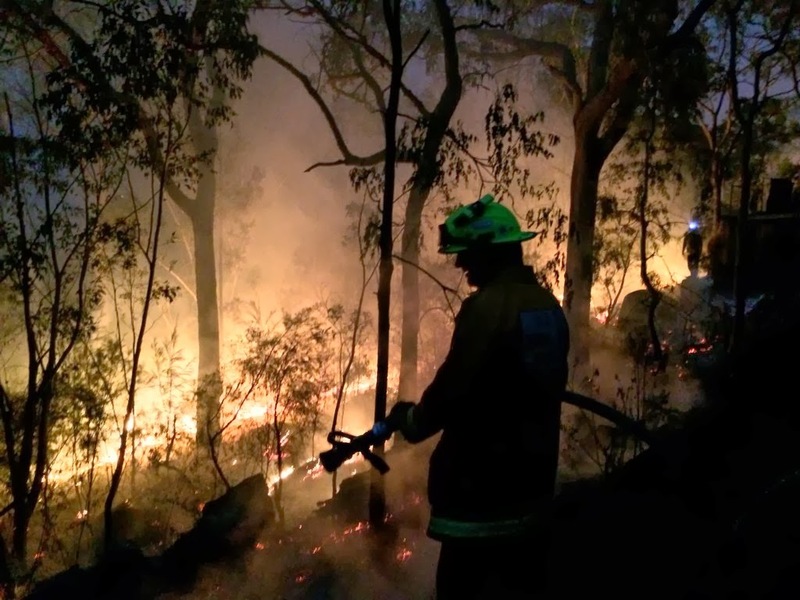 Backburn at Mt Banks Sector (Photo: Evaan Chadwick).